Following widespread damage from hurricanes Harvey and Irma, the NYC food and beverage industry has pulled together to raise money to support relief efforts by doing what it does best—throwing one heck of a bash. 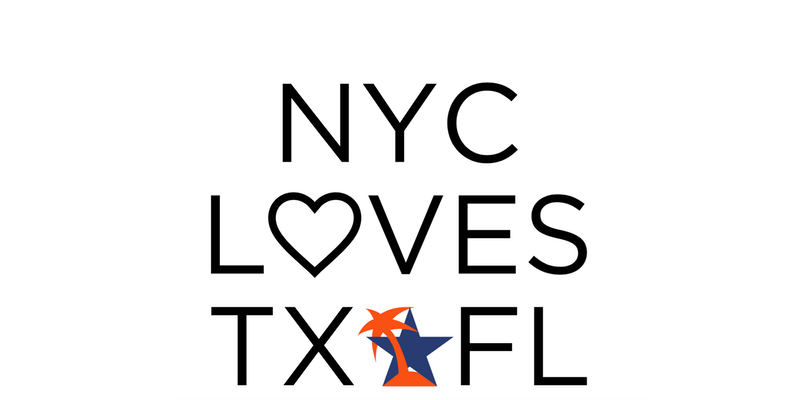 NYC Loves TX + FL takes place on Sunday, September 24 at Pier A Harbor House, 22 Battery Place. Members of the city's top cocktail and culinary talent will offer tastings, and the evening will also include a silent auction and live entertainment, including one of the Dizzy Fizz's favorite DJs, Tomas Delos Reyes, as well as DJ and producer Jillionaire of Major Lazer. VIP admission ($125) at 3 p.m. will feature oysters and martinis presented by VDKA 6100. General admission ($75) is from 4-8 p.m.
One hundred percent of proceeds will go to the John Besh Foundation, a non-profit organization established by New Orleans chef John Besh in the wake of Hurricane Katrina. The organization is leading efforts on the ground in both Texas and Florida to feed those in need and rebuild homes and businesses. Participating NYC bars and restaurants include: Basík, BlackTail, Blind Barber, Boulton and Watt, Clover Club, Clyde’s, Coup, Daddy-O, Dante, Drexler’s, Employees Only, FLAGSHIP Montauk, Ladybird, Leyenda, Llama Inn, Loverboy, Nitecap, Porchlight, Pouring Ribbons, Rosé Bar Provided by SevenFifty Daily, Suffolk Arms, Sundays in Brooklyn, Sweetwater Social, The Dead Rabbit, The Raines Law Room and Underdog. For tickets and more information, visit the Eventbrite page. Swig 'n Swine returns to Brooklyn this Sunday. November brings a cornucopia of drinking events to NYC, in addition to the Holiday Spirits Bazaar. Break out your favorite fall sweater, assemble your crew, and experience the tastiest events the city has to offer. Get ready for barrels of punch--San Francisco's Bon Vivants are bringing their pig roast fundraiser back to Williamsburg this weekend. The annual pork and punch event that started at Tales of the Cocktail is now held at cities around the world, and the team has donated more than $300,000 and more than 8,500 of volunteer time to schools and youth centers in need. Enjoy all-you-can-eat BBQ and all-you-can-drink punch featuring spirits such as Don Q Rum, Leblon Cachaca, Don Julio Tequila, Beefeater Gin, and lots more, all while supporting an important cause. Geared toward bartenders, bar proprietors, and other industry professionals, Bar Institute began as an educational component of Portland Cocktail Week. This year, Lush Life Productions embarked on a cross-country tour to bring advanced skills to the mixology masses, and New York is the final stop. After full days of classes, the evening event lineup--a Patron karaoke party at Marquee, a Jack Daniels big band bash at Bowery Hotel, a Monkey Shoulder Konga party at Dream Hotel--looks not-to-be-missed. This week-long celebration of all things bubbly gets better every year. Expect a sparkling lineup of industry and public events, from educational tastings to an Election Night party at Corkbuzz and a St. Germain Champagne garden brunch at Bobo. This year's festival is even more special for founder Blaine Ashley of CitySip, as she releases a limited edition cuvee, "Bulle de Reve" from Champagne Lombard, available at select retailers and restaurants. Cart Before the Horse at Slowly Shirley. Photo by Nick Voderman. Look for sherry tastings, seminars, and events popping up as International Sherry Week kicks off at restaurants, bars, and bodegas worldwide. New York participants include Dante, which will feature a special menu of classic and original sherry cocktails, and Slowly Shirley, where the Southern Spanish wine is incorporated into inventive cocktails like the Cart Before the Horse (Oloroso Sherry, 123 Anejo Tequila, Neisson L’ Esprit, Lux Fernet, orange juice, carrot juice, root beer syrup, brown sugar, and acid phosphate). Follow the hashtag #sherryweek to stay informed. Summer is off to a sizzling start in New York, and that means it's time for some alfresco imbibing. Here are three main events sailing into the city that promise a perfect mix of excellent drinks and buzzing summertime scenes. Bowery Collective's annual celebration of agave spirits returns this year, adding a full week of events leading up to the main tasting event on Friday, June 10. Head to Casa Mezcal's "Mexico in a Bottle" tasting of rare mezcals not yet available on the East Coast, sit down to an intimate dinner at La Contenta with agave spirit pairings, or go full tilt at Arte Agave at Bowery Hotel, where more than 100 varieties of tequila and mezcal will be available for sipping –remember, amigos don't let amigos do shots of the good stuff. Save 20% on all tickets using the code DIZZYFIZZ. This swinging picnic party has become a summer tradition in New York, especially for those who like to gussy up in their vintage threads and kick up their heels to Michael Arenella's Dreamland Orchestra. Whether you're looking worthy of a Bill Cunningham snap or not, be sure to grab a St-Germain cocktail at the bar station helmed by Julie Reiner of Clover Club and Leyenda. If sipping rosé all day on pink-hued picnic blankets to live DJ sets and performances sounds like a dream come true, head to La Nuit en Rosé's inaugural PINKNIC for a weekend full of the blush stuff. Sip varieties of still, sparkling and champagne rosé sold by the bottle, and if your picnic packing skills are lacking, pre-order boxes by chef Chris Santos. Suggested dress code is pink and white, just to add to the je ne sais quoi. Now that we've survived the great lime crisis of winter 2013-'14, it's time to raise a glass (or several) of agave spirits at tonight's Arte Agave at the Bowery Hotel. 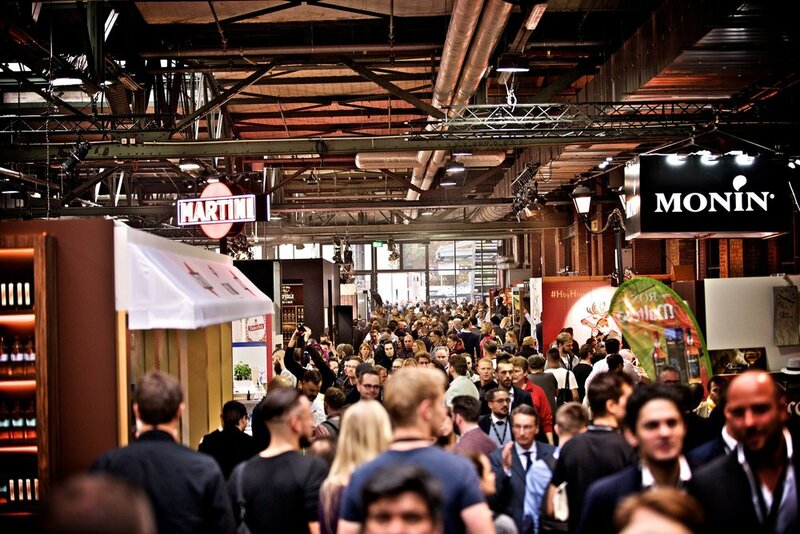 Featuring more than 100 different varieties of tequila and mezcal, the event also celebrates Latin American culture with food, music, and art. A limited number of tickets are still available, $120 for VIP entry at 7 p.m., or $85 for general admission at 8 p.m. Bowery Hotel, 335 Bowery, New York, NY 10003. There's still time to partake in the second annual Negroni Week, organized by Campari and Imbibe magazine, which promotes Negroni-drinking (like we needed encouragement) and philanthropy across the country. Hit up participating NYC bars through June 8, and a portion of proceeds from each delightfully bittersweet concoction sold goes to the bar's charity of choice, such as Meals on Wheels, Coney Island Recovers and Food Bank of New York City. Summer is here, and for New Yorkers, that means weekend escapes from our sizzling concrete abodes. If you're heading to the Hamptons via the Jitney, or taking a Grand Central train Upstate or elsewhere, the W New York on Lexington has a Summer Friday happy hour special for you. From 1 to 3 p.m., order a cocktail at the W's Living Room and receive a complimentary tote bag designed by artist Shantell Martin full of summer goodies like Kiehl's sunscreen (while supplies last). Even if you're staying in town, cocktails such as the Lemongrass Drop (Tito's Handmade Vodka, St-Germain, lemongrass syrup, lemon juice, pineapple, mint) should put you in a sunny mood. W New York, 541 Lexington Avenue (at 49th Street), New York, NY 10022. Kicking off with what has become the cocktail-lover's prom of the year, the 2011 Manhattan Cocktail Classic, held May 13-17, drew a crowd of top bartenders and drinking enthusiasts from across the country and beyond. 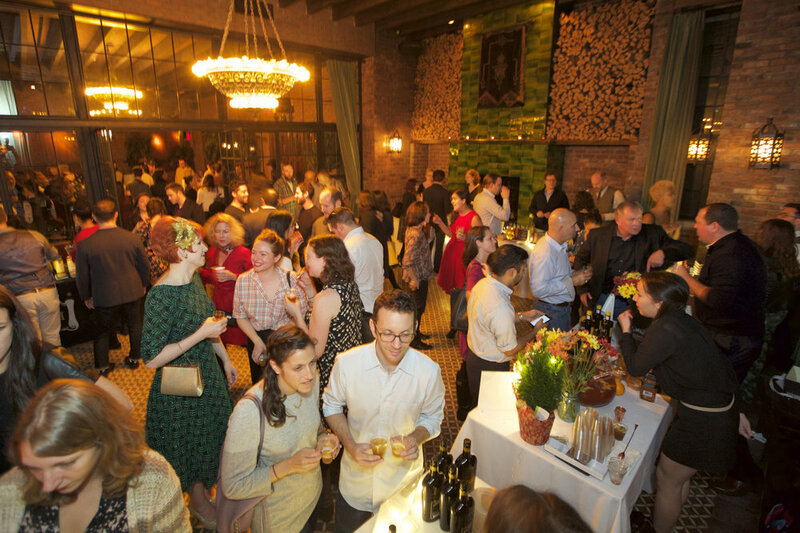 It's great to see this event grow as it celebrates NYC's place on the map for cocktail innovation. And grow it has--founder and director Lesley Townsend said attendance for the five days nearly doubled over last year, reporting more than 5,000 attendees. She estimated that 75,000 cocktails were served throughout the festival, and all in real glassware. For the Gala, more than 3,000 cocktail fans lined up around the block for nearly an hour to get inside. Lesley said she is already working on ways to make the entry process more efficient for next year. Although parts of the Gala had more of a nightclub feel this year--one writer compared it to Pacha--and food was once again hard to find, props must be given to Lesley and her team of 500 for organizing NYC's quintessential cocktail bash. I particularly liked how every brand had equal presence at the event with a minimalist design as opposed to loud branding. Everywhere you turned, guests were smiling and seemingly having the times of their lives, sipping expertly-mixed cocktails. Other events held throughout the festival included a Don Q Rums '80s party, a one-time-only screening of the film "Last Call in New York" hosted by Tequila Don Julio, the Indy Spirits Expo, and Campari's Spirited Fête for the Senses at The Box featuring Padma Lakshmi. Seminars ranged from the spirit-focused to topics such as "How to Behave in a Bar." Mostly, this festival was another example of how much fun the liquor industry can be--congrats Lesley on another successful edition of the MCC! Burlesque icon Dita Von Teese will celebrate the launch of her Cointreau "MargaDita" cocktail at Los Feliz tomorrow, May 5 for Cinco de Mayo. Drop in from 10 p.m. to 4 a.m. and try the drink for $10. Saturday, May 7 is the Kentucky Derby, otherwise known as "wear-a-big-hat-and-drink-mint-juleps" day, and there are a number of horse race festivities stampeding about town. In Midtown, The Rum House is showing the race (at 6:04 p.m. sharp), serving Maker's Mark mint juleps in cups you can keep, and offering traditional Derby food gratis from 5 to 7 p.m. In Park Slope, The Bell House is having a free party from 1 to 8 p.m. with $6 mint juleps, squaredancing, food by Urban Rustic, prizes for best hat and best sharp dressed man, and after the race, live band karaoke with Bunnie England and the New Originals. In Williamsburg, Brooklyn Winery is hosting a party with endless Maker's Mark mint juleps, wine and beer from 5 to 8 p.m. (tickets are $50). And in Windsor Terrace, Double Windsor is awarding a $50 bar tab to whomever guesses the winning horse. On May 11, Zagat and Gilt City are co-hosting an evening of luxurious tastes at "Les Bon Temps Rouler" at Maison Premiere in Williamsburg. Your $115 ticket gets you limitless absinthe cocktails and at least six different varieties of oysters, not to mention king crab, lobster, shrimp and other fruits de mer. As an added treat, guest bartenders Aaron Gregory Smith and Brandon Joise from San Francisco's 15 Romolo will join Maison's beverage director, Maxwell Britten, behind the bar. The Cointreau MargaDita 1.5 oz Cointreau 1.5 oz silver tequila 1 oz fresh lime juice 1/2 oz Monin Rose Syrup 1 pinch chipotle spice Mix all ingredients into a cocktail shaker filled with ice. Shake vigorously and pour into a chilled coup glass. Garnish with floating organic yellow rose petals. For an added kick, add a chipotle and salt rim.